Police believe that a crew of two to three men who have been robbing convenience stores at gunpoint in west Lake View, Lincoln Park, and Wicker Park struck again on Sunday—in Avondale. 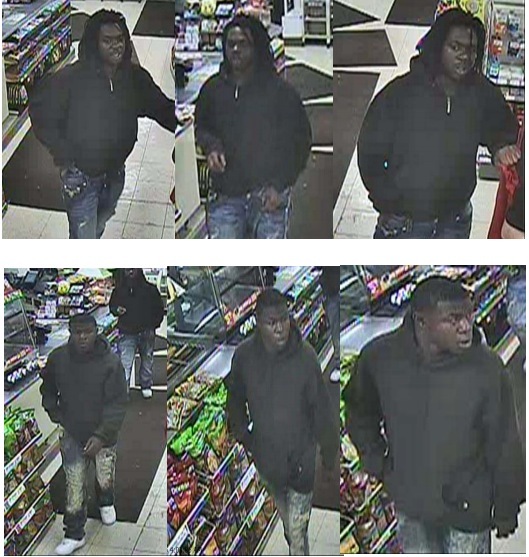 Police say two men who closely resemble those seen in a recently-released community alert entered a convenience store at 3600 W. Belmont around 11 o'clock Sunday night and then produced handguns as they robbed the store and its customers. The offenders were described as two black men with dark complexions who wore black hoodies. One carried a silver handgun and the other had a black handgun. No one was injured. For all of their trouble, the duo netted $70 cash, a purse and a wallet. Image: Two suspects in a recent string of convenience store robberies are seen in a Chicago Police Department photo collage.